I am perpetually fascinated by people’s histories and how they inevitably manifest in their present circumstances. The same goes for nations. A nation’s history tends to manifest in its present, just like an individual’s does. Take Iceland. For several centuries we were oppressed by our colonial overlords. Iceland became an independent republic in 1944, just over 60 years ago – however, in so many ways it still seems like the people of this country willingly allow themselves to be subjugated. Case in point: the way the majority of Icelanders sit by silently while their plentiful natural resources are usurped by a handful of individuals who exploit them to make themselves and their friends and families rich. If you are a regular follower of our Facebook page, you will have some idea of the sh*t that routinely goes down here. As I write this, we have widespread strike action going on, and a full-blown general strike is imminent. Meanwhile, our prime minister goes on national television and maintains that the wage hikes the little people are demanding can only be met if the government is allowed to build more power plants to fuel heavy industry such as aluminium production, which is in the hands of foreign multinationals. 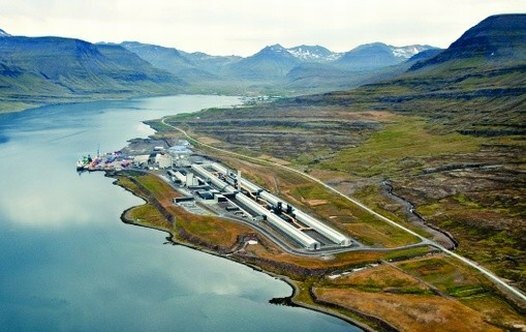 I’m going to quote a recent article in which Indriði Þorláksson, former Director of Taxation, presents calculations showing that aluminium production contributes a mere 1% to Iceland’s GDP. This country’s energy resources, with the exception of geothermal energy for house heating, are virtually meaningless for the Icelandic economy. This is a result of the current policy by the Icelandic government to shift the revenues generated by those resources into the pockets of those who exploit them. This policy is widely manifested. The government resists making an amendment to the constitution [that would expressly state that the country’s national resources belong to the people], taxes on corporate revenues were lowered, the aluminium companies were guaranteed that they could transfer their profits, tax-free, out of the country, the abolishment of an energy tax on aluminium companies was given priority, a tax on fishing was lowered, and there are plans to allocate a mackerel quota without any taxation. […] As long as this policy is not properly abandoned and the economic efficiency of the operations that are supposed to use all this new energy is not proven, there is no logic to any further power plants being built in Iceland. Indriði Þorláksson’s voice is the voice of reason. There are numerous others like him. And yet, a large proportion of the Icelandic population chooses not to hear, and to have their livelihood, in the form of their own resources, stolen from them, right in front of their eyes. I cannot find any other explanation for this but that, as a nation, we have no sense of entitlement, and have exchanged one set of oppressors for another. Tomorrow, Tuesday May 26, there will be a demonstration to protest the Icelandic government’s oligarchy and autocracy. Austurvöllur square, 5 pm. Please be there if you support the voice of reason.